Linda Hall of the full-service event company Love Is in the Air says that having a wedding at home is possible regardless of your home’s size, or your budget. “Home weddings can be some of the most beautiful and intimate weddings of all, especially if the home and the budget are both substantial,” Hall says. 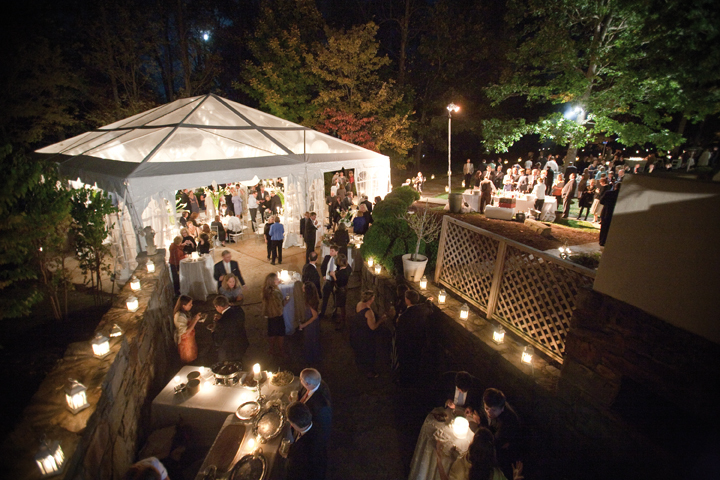 “Tents may be rented for a gorgeous outdoor affair. Caterers and decorators can be hired to take care of all the hard work and the tedious last minute-details, but what if the home is not palatial and the budget is less than grand? It can still be done,” she encourages. She says that the first thing to consider is space; think about how many people the home can comfortably accommodate. One local couple, Spencer and Ben Rogers, chose to have their wedding at the home of the bride’s parents, Lea and William Barksdale. With a guest list of 60, this wedding was perfect for the space that the Barksdale home and yard offered. “We wanted everything outside, but we do not really have a backyard, only two sides,” explains Lea Barksdale, mother of the bride. So they made the most of their space by using the smaller side area for the wedding, and the rest of the yard and some of the home’s interior for the reception. Sometimes weather can also be a concern. 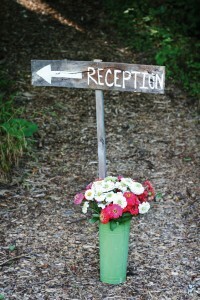 Hall says, “If you are planning an outdoor event, what will you do if the weather does not cooperate? You always have to have a ‘Plan B’.” The Barksdales found this to be true. With the ceremony taking place on a crisp fall evening, it began to get a little chilly for the reception. They hosted the beginning of the reception in the yard, and then moved into the coziness of their house, which meant that the jazz quartet played in the comfort of their sunroom. “You have to make adjustments,” Barksdale says. “It’s easier than you think. You definitely need to be laid back with it and know to go with the flow.” She also confides that having a close friend to vent to and bounce ideas off of is a must in planning an at-home wedding. Yet having experienced the day, Barksdale looks upon it fondly and with perspective. “We kept in focus what the wedding was all about. It was not about the party, but it was about the wedding itself. I would do it again. I would encourage anyone to do it,” she says. Timing is also a factor when considering an at-home wedding. Will your guests be in the happy sunlight of the daytime or surrounded by the dimness of night? Kate Leggett and Jason Mabry were married at St. Paul’s Episcopal church in Lynchburg, but opted to have the evening reception at the home of the bride’s parents, Geri and Lamar Cecil. This meant that much of their reception took place under the dusky October skies. Geri Cecil, Mabry’s mother, says that the lighting was perhaps the hardest part of the reception. She describes a beautiful scene: “The tent had big globes of light, and we had lights on every table under the tent and in the yard. Lanterns were strung, and we staked luminaries down the driveway.” While this lighting sounds very dreamy and romantic, executing this lighting scheme is in fact a major task—something to keep in mind if any or all of the celebration will take place at night, outdoors. A gorgeous garden wedding was what was in store for Mary Ellen LaFreniere, whose parents, Kaye and Ben Moomaw, own a flower farm. She wanted to marry Matthew LaFreniere at home because of her connection to this special place. “We did it at home because I don’t like to be in front of everyone, and we wanted it more intimate as we were welcoming other people into our lives. We knew that we wanted an outdoor wedding, and my parents have a flower farm. It’s an important place to me,” LaFreniere says. Kaye Moomaw, her mother, says that LaFreniere grew up working in the garden with her parents, so it really is a dear place to her. 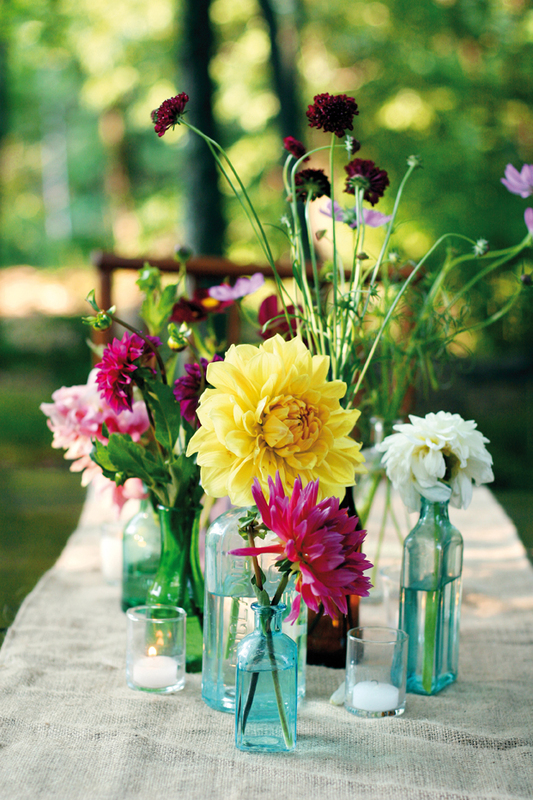 “[The garden] was so pretty that we thought it could possibly work … and it did! Now when we go to the garden and walk down the alleyway, we just remember how beautiful that day was,” she says. Another benefit of marrying at her childhood home? The bride and her attendants all dressed in her bedroom, which made their time together even more meaningful. 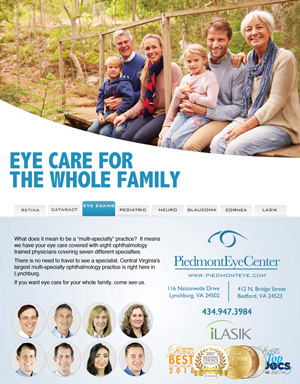 Uniqueness was important to the Barksdale family as well. 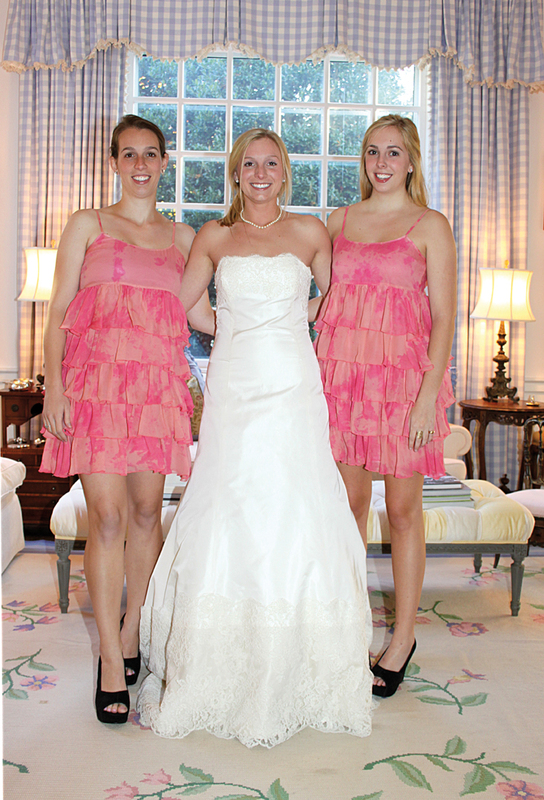 Lea and William Barksdale have three daughters, all of whom want their own unique voice for their weddings. Spencer is the middle child, and her wedding really spoke for the relationship she has with her husband Ben. “Their relationship was so sweet, and we wanted that tone for the wedding. They wanted it small, and it is her great- grandparents’ home,” Barksdale says. 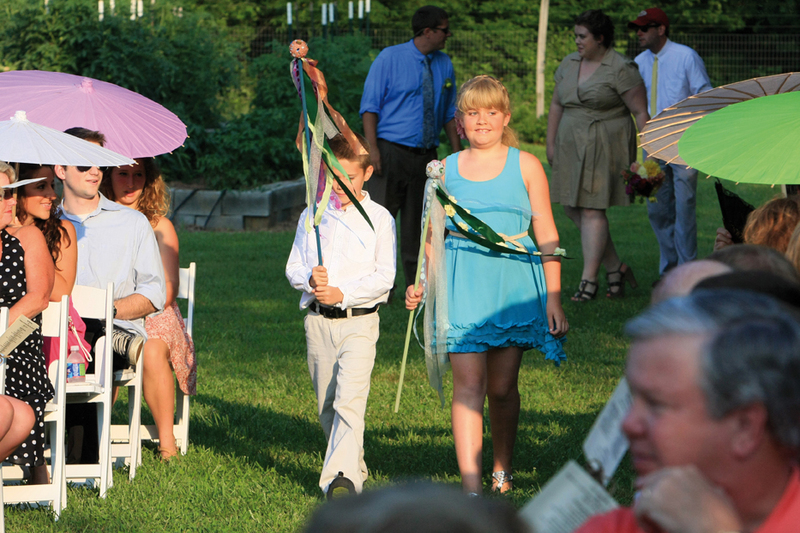 The Moomaw-LaFreniere wedding was a combined effort of many family members and friends. Even the groom pitched in! “One thing that made it really great was having my [now] husband involved. We did everything 50/50 as far as all the decision making,” Mary Ellen LaFreniere says. She also says that even the setup was a family affair. Moomaw echoes this sentiment. “We did most of the work as far as preparation, and it was a wonderful event. We were all so excited to work together to get it accomplished and see it pulled off. We hired kids to do parking. Everyone had jobs to do, and it just brought everyone together. It really was a wonderful experience,” she says. While many brides are able to make the planning and execution of a wedding and/or reception a total family affair, others may want or need the help of a professional planner. Planners can help determine how to best use the space you have while connecting you with other vendors that can help, such as florists and caterers. Elizabeth Sayers of That Wedding Bridal Consulting suggests hiring professionals who can handle more than one aspect of the wedding. “Hire a full-service caterer who includes flatware, china, linens, and serving pieces like chafing dishes. The more each vendor includes, the less you spend renting and having to transport, setup, breakdown and be liable for,” she says. Planners can also help think through the logistics of the day—and one of the big logistical issues with an at-home wedding is parking. Amanda Gray of Ashley Baber Weddings suggests letting your neighbors know ahead of time that there will be an influx of cars. “As with any large gathering at a residence, it is courteous to inform your neighbors when the event will take place. Even though you may have secured a location for guests to park and be transported to the home, there is the potential to have vendors parked in front of the houses,” she says. She suggests connecting with a local church or school where guests might park and be shuttled to the wedding location. Another challenge, experienced by the Leggett-Mabry wedding and the Moomaw-LaFreniere wedding, is the toll that hosting a large crowd of people takes on a home’s sewage system. It is not a glorious thing to talk about when thinking about the beauty of weddings, but it is something that can cause problems when not taken into account. Mabry says, “There are temporary things we needed to do. The house is on a septic tank, so we had to accommodate a bathroom trailer.” And with a reception of around 260 people, it is no wonder! Moomaw, hosting 150 people for her daughter’s wedding, experienced another water-related situation. “We did not anticipate that our well would go dry; that was the biggest thing that went wrong,” she says. Besides anticipating the instability of the weather or even the capacity of your location, you also need to consider what it will take to get your home ready. Hosting a small dinner party or a gathering of friends can send the even the best hostess in to a frenzy, so imagine hosting a once-in-a-lifetime event! Having things around the house at their freshest and finest helps put the property’s best foot forward for such an event. While it takes a little bit of forethought, spruce-ups are manageable if a plan is put into place. Barksdale says, “We landscaped and worked in the gardens, along with recovering some furniture. We did not redo the whole house.” All three of these at-home wedding hosts say that paint touch-ups were on their to-do lists, yet all stressed that leaving the home as familiar as possible was important, too. 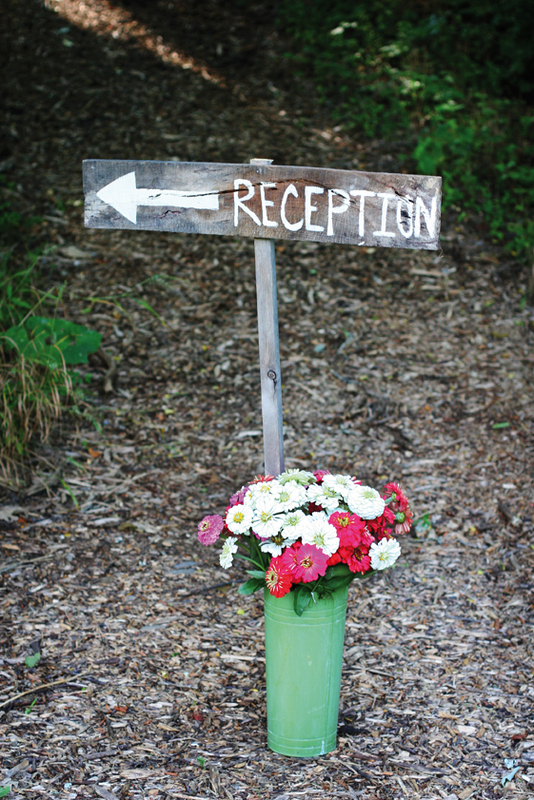 For an outdoor wedding or reception, having the grounds groomed and maintained is ideal. Mabry’s family took full advantage of all their estate had to offer—from the tented area outside to the cake in the dining room. “My parents had to rearrange a few pieces of furniture to accommodate the amount of guests. A lot of the people I know who have done home weddings have not opened their home, but I wanted the house to be open from the get-go,” says Mabry.